As an organic gardener, one of the best things you can do for your garden and the surrounding environment is encourage more pollinators to make themselves at home there. Hummingbirds, butterflies, bees, bats, and other beneficial critters play an important role in the overall health and well being of your vegetable garden. In fact, a large population of pollinators in an area is a good indication that the surrounding environment is healthy. Unfortunately, many gardeners find it challenging to attract enough pollinators to their property. However, there are several things you can do to avoid this issue in your own vegetable garden. As an organic gardener, you are already doing one of the most important things you can do to attract more pollinators into your garden. Non-selective pesticides and weed killers can also harm the beneficial insects and creatures you are trying to attract. The full impact of their use on living creatures and the environment is not yet fully understood, but more and more research is now showing there is a strong cause for alarm. Sensible organic gardening practices, on the other hand, help create a welcoming environment for these beneficial creatures and make it easier for them to thrive in your garden. Pollinators prefer some flowers over others. Brightly colors blooms and bell shaped flowers are favored by hummingbirds and honey bees alike. Sunflowers, salvia, bee balm, butterfly bush, butterfly weed, and blanket flower are just a few examples of the many beautiful flowers you can grow in or near your garden to help attract more pollinators. When in doubt, plants native to your area are always a good choice. A quick online search of “find native plants in my area” will help you identify good candidates for your own garden. While you’re at it, try to incorporate a diverse mixture of these pollinator-friendly blooms into your garden to attract a wider variety of beneficial creatures. Milkweed is one plant you should definitely consider planting because it is the sole food source for Monarch butterflies. With the natural habitat for milkweed dwindling, these beautiful butterflies can use all the extra help they can get. You can also attract bees, butterflies, and other pollinators to your garden by offering adequate shelter for them. 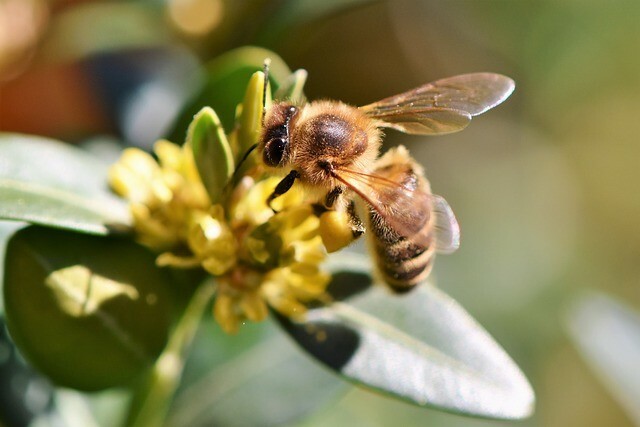 Different pollinators have different nesting and habitat requirements, so do a little research to identify what works best for the beneficial creatures you want to attract. Offering shelter to pollinators doesn’t need to be overly complicated, however. Something as simple as allowing a log to decompose on your property or strategically placing artificial nesting boxes around your garden should help. Planting plenty of brightly colored native flowers will help attract more pollinators to your garden, but you can also take it a step further. For example, you can set up hummingbird feeders to help attract more butterflies and hummingbirds to your property. These pollinators will be happy to return repeatedly as long as you provide a dependable source of food for them. You can also set up birdbaths, a water fountain, or even a shallow catch basin for rainwater to attract different types of butterflies, moths, and bees with a continuous supply of fresh water – just be sure to rinse out standing sources of water regularly to keep the local mosquito population in check.